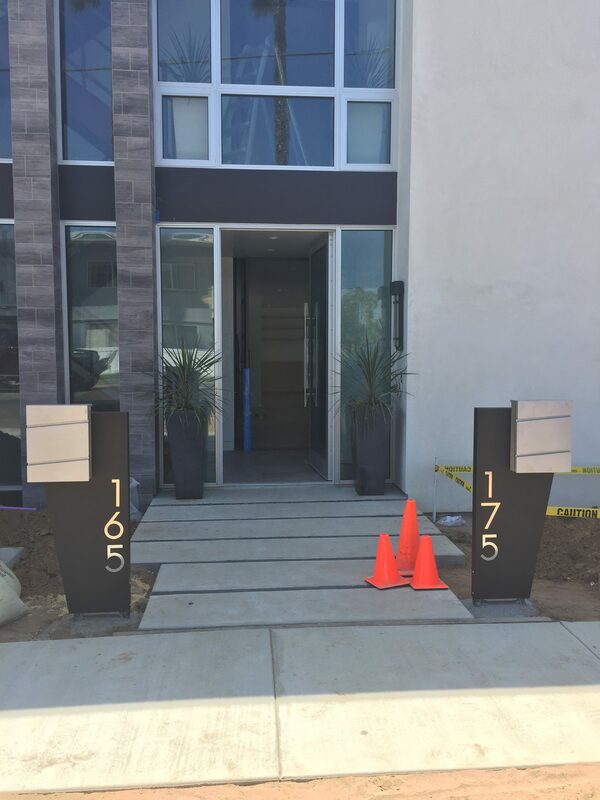 The Tucker is a modern curbside mailbox unit which combines the construction of the Odyssey unit with the angular design of the Hansen unit. 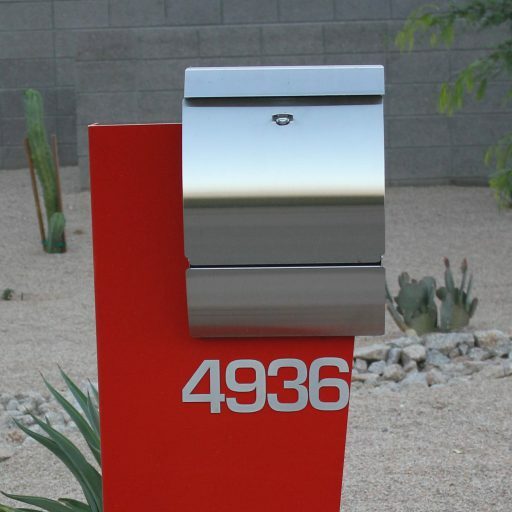 This modern curbside mailbox stand is made from aluminum and can be powder coated in a variety of colors. 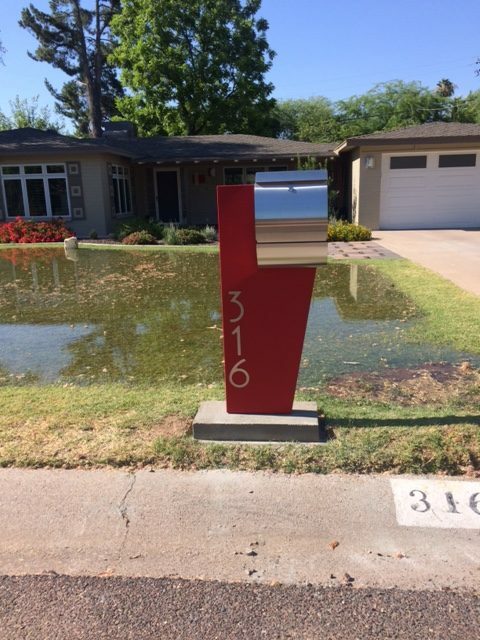 Mounted off-center, the mailbox adds another level of dimension to this curbside unit. 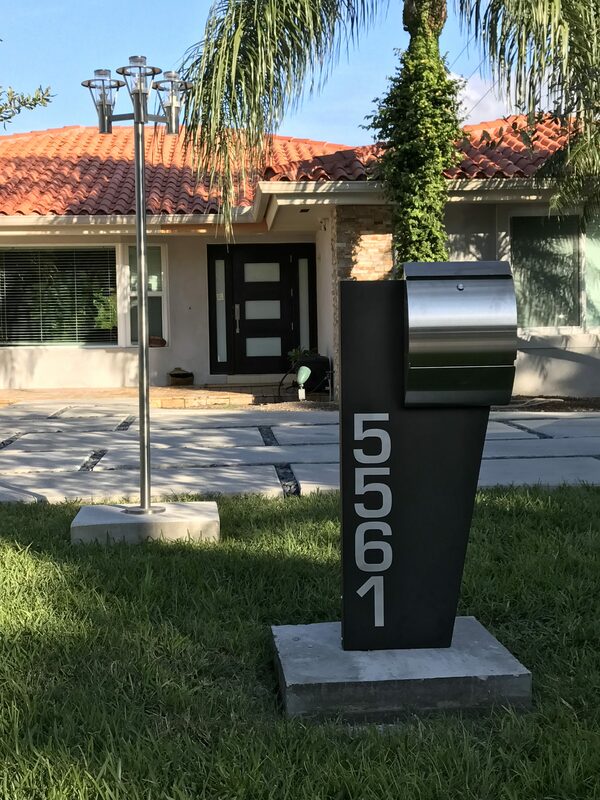 Choose between the Carsten or Metro mailbox, customize the stand color, address plaque or numbers, and create a personalized mailbox that is perfect for your home. Stand dimensions: height- 44 1/2″, width at top-18″ and 13 1/2″ at the bottom, and 2 1/2″ deep. Mailbox dimensions: width- 12 3/8″, height-17″, depth-5″. 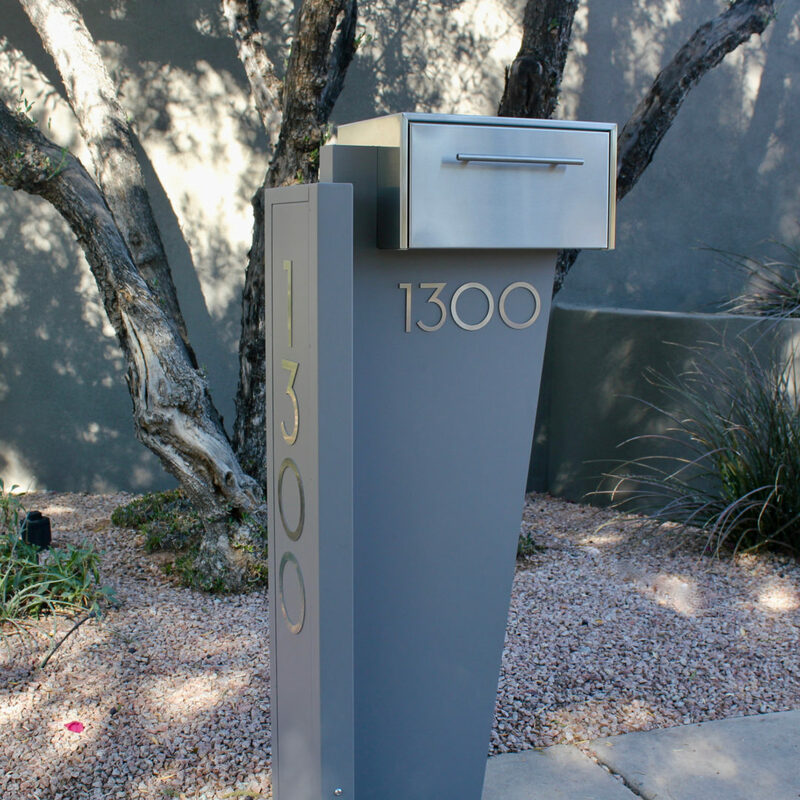 The Tucker is a modern curbside mailbox which is customizable for any home. 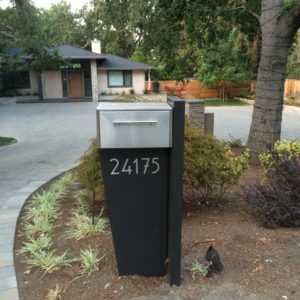 Design your perfect mailbox with our wide variety of options. As always, made in the USA!